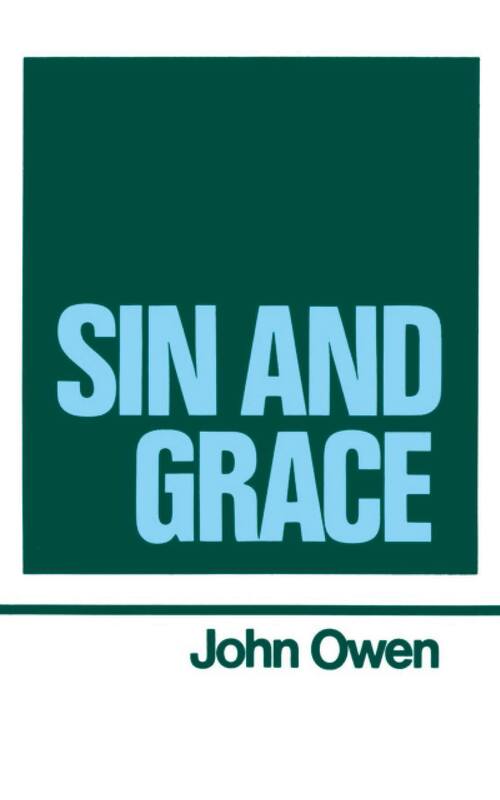 The Grace and Duty of Being Spiritually Minded by John Owen is published by the Banner of Truth Trust in Volume 7 of The Works of John Owen, available from the Trust at £215 for the set of 16 volumes or £15 for a single one.1 Alternatively, a modern abridgement by R.J.K. Law entitled Spiritual-Mindedness (264 pages) is obtainable, also from the Trust, and costs £6.00.2 Modern readers will probably find this volume easier to understand than the full work, and this will no doubt be appreciated. A great deal of hard work has gone into the abridgement and can only stimulate interest in Owen’s important theme. Money spent on it will not be wasted, especially as it may even encourage readers to graduate to the original. However, please note that for purposes of reference, unless stated otherwise, page numbers and quotations are from the primary source in Volume 7. The treatment and length by Owen of a given subject might lead the reader to feel that little more can be said on the matter! But do not let his style deter you – persevere, for he will repay careful reading with eternal benefits. This is especially so in relation to Being Spiritually Minded, for prayerful study and application of the truths inculcated will change your outlook from one of carnal-mindedness to that which is heavenly. The work is based upon Romans 8:6, ‘To be spiritually minded is life and peace’ and Colossians 3:2, ‘Set your affection on things above.’ There are two major sections to it, with Part One concerning the actual exercise of the mind as it thinks about spiritual things. Part Two deals with the affections towards spiritual matters and the mind’s desire for them. With the commencement of Part One, Owen establishes almost at the beginning two foundational facts. The first is: ‘to be spiritually minded is the great distinguishing character of true believers from all unregenerate persons.’ The second: ‘where any are spiritually minded, there, and there alone, is life and peace’ (see pages 271-274). As to the proportion of thoughts about spiritual things, these ought to exceed all others (pages 301-302) and they must take possession of the heart. To be spiritually-minded includes, amongst other things, the observation of providence, self-examination, submission to God’s will and wisdom, and minding the things that are above. Four motives for the latter are provided (pages 319-326) and the first and last of these sum up the whole. Faith is increased and strengthened while the heart and affections are weaned from the world. A further aid is biblical meditation on heavenly matters, but if this is missing, says Owen, then true spiritual-mindedness is lacking. ‘Without it, all our religion is vain’ (page 328). The Scriptures must always furnish the basis for such meditation, with the Holy Spirit powerfully applying divine truth to the soul. Above all, Christ must be the special object of a believer’s thoughts, for he is the life and centre of all glory in heaven (page 344). Owen exhorts believers to pray for the Spirit’s constant presence, and in this way the soul will have its attention fixed upon Christ and the whole Godhead (pages 344; 351-364). What ought to occupy the believer’s mind when thinking of the Godhead? ‘First,’ he says on pages 367-379, ‘think much of the being and existence of God‘ (Heb. 11:6; Isa. 43:9-12; 44:8). Consider too the ‘immensity of his nature,’ his eternal power, infinite wisdom, absolute sovereignty, omnipresence, omniscience and omnipotence. All this will be a check to sin and bring the fear and awe of God into the soul as well as giving strength in the ‘storms of temptation.’ Yet in all this, Owen realises that meditating upon God and being spiritually minded is no easy matter. Therefore he provides helpful and practical counsel in chapter 10 (pages 379-394), concluding this section with three rules for meditation. First, choose a fit time and season, giving God the best hours. Second, prepare the mind with reverence of God and spiritual things. Third, go to God with earnest desires and expectation of being blessed and seek his guidance in all your thoughts. Part Two begins at chapter 11 (page 394) and concerns itself with the spiritual affections. These are the soul’s desires for heavenly things and for God himself. Deuteronomy 10:12; 30:6 calls believers to love and serve him with all the heart and soul, especially in the face of the world’s seductions. God pours contempt upon them by exalting all that is spiritual and from above. Besides, everything in this life is uncertain, unsatisfactory and a disappointment. How then can the affections be truly spiritual when they are naturally sinful and corrupt? It is necessary that they are ‘changed, renewed, and inlaid with grace, spiritual and supernatural’ (chapter 12, pages 410-415). This is a work of God’s grace as he carries out ‘the renovation of our affections’ (page 416). Yet believers are never to be passive and Owen urges them that ‘to be entire for God,’ to ‘follow him fully,’ to ‘cleave unto him with purpose of heart,’ to have the ‘heart circumcised to love him,’ is to have all our affections renewed and sanctified; ‘without which we can do none of them’ (page 419). Hearts thus changed and spiritually renovated will delight in the true worship of God. This will stir up faith, love and more delight in him and give further spiritual benefits which will glorify God (pages 430-455). Sadly, spiritual affections can decay and Owen gives advice as to how this can be avoided. ‘Remember former things,’ he counsels, ‘call to mind how it was with you in the spring and vigour of your affections, and compare your present state, enjoyment, peace, and quiet, with what they were then’ (page 464). In this way, believers of old refreshed and encouraged themselves (Psa. 42:6). How can the affections be stirred up and improved? The pattern is Christ, therefore endeavour to be conformed to him and let his mind be in you (Phil. 2:5), and all as Scripture directs (page 468). Ensure also, that love for the Lord is maintained and be earnest in the pursuit of spiritual things. Adhere to them with love and delight and set the soul upon heavenly matters. The result will be ‘a continual spring of spiritual thoughts and meditations’ (page 484). The concluding chapter returns to the theme that spiritual-mindedness is life and peace. With his usual persistency, Owen underlines the blessedness and fruit that arises in the life as a result. The whole volume is a feast for the soul!